Some of my favorites have gotten some product updates! These updates have been on my to-do list for a super long time. I'm so happy to have them completed. 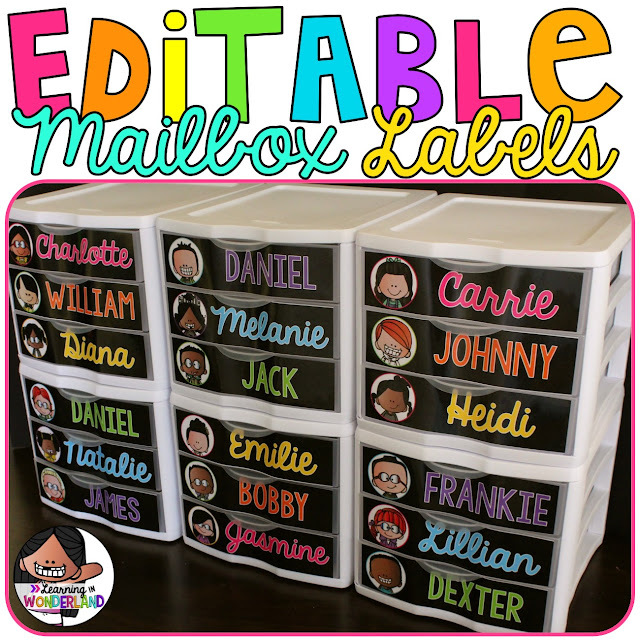 Every resource below now includes over 400 clip art choices for you to choose from so that you can match up every one of your students with the perfect image! This mailbox system makes my life so much easier! I collect work that needs to be graded and put it back into these bins. Every Thursday I send home a week's worth of work. So far I'm noticing that more parents are getting to see their child's work this way. In the past I've seen that my kids have work from weeks ago in their backpacks! I was looking for a solution and this seems to have done the trick. I also put a folder at the bottom of each drawer to help me build an ongoing portfolio. Now whenever a last minute meeting pops up, I can pull the portfolio and have lots of student work for the meeting. 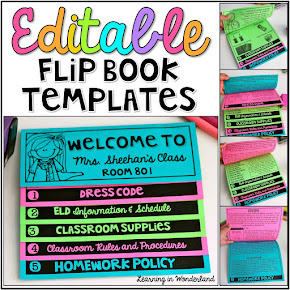 These also come in handy for parent conferences! 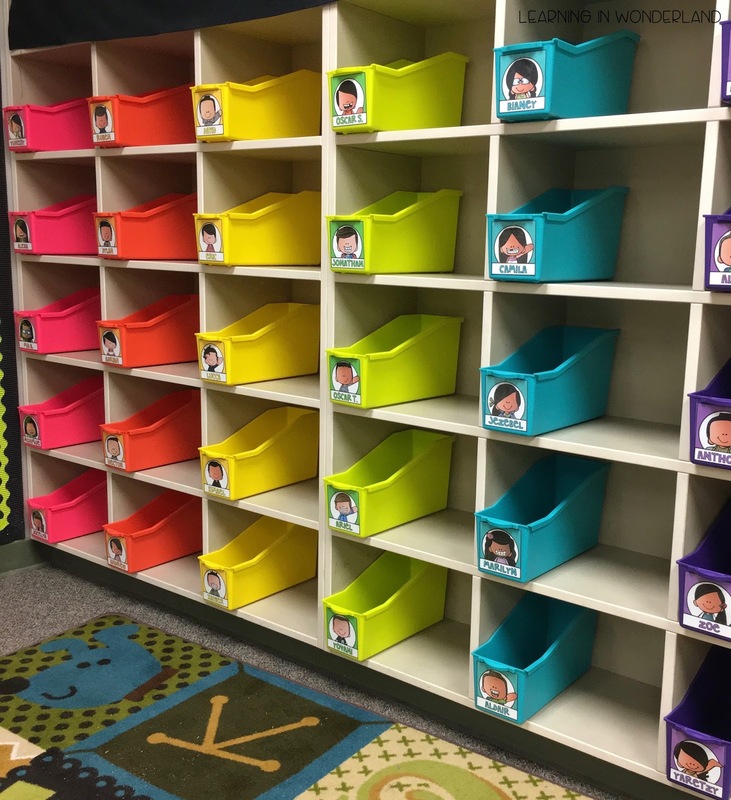 These book bins are one of my kids' favorite things in our classroom! So much that at the end of the year last year, my kids asked their third grade teachers if they would still have their own book bin in third grade! 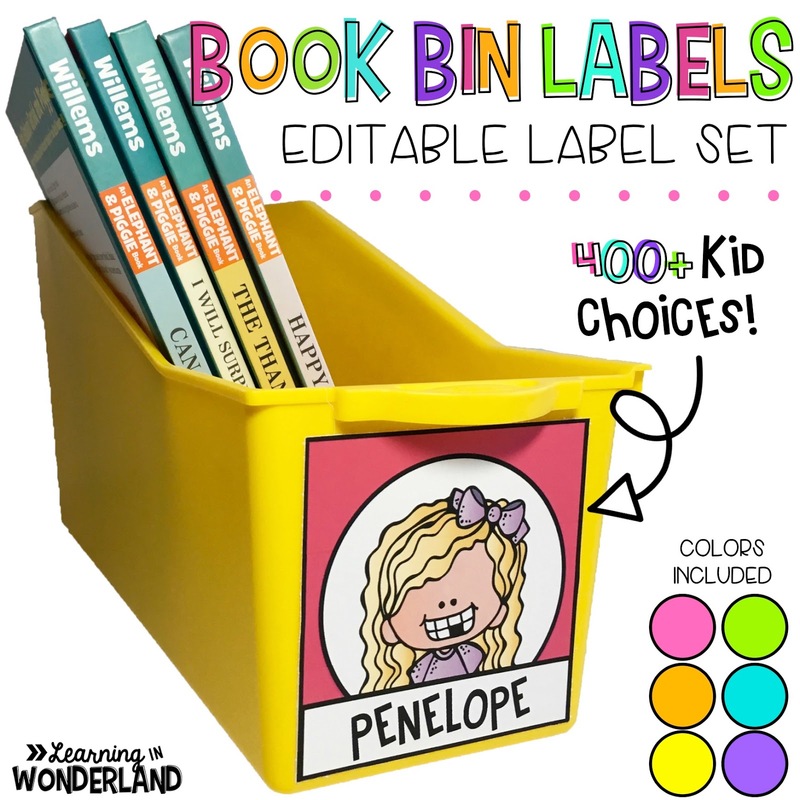 I am all about happy colors and these labels with these bins from Lakeshore were just perfect for us! 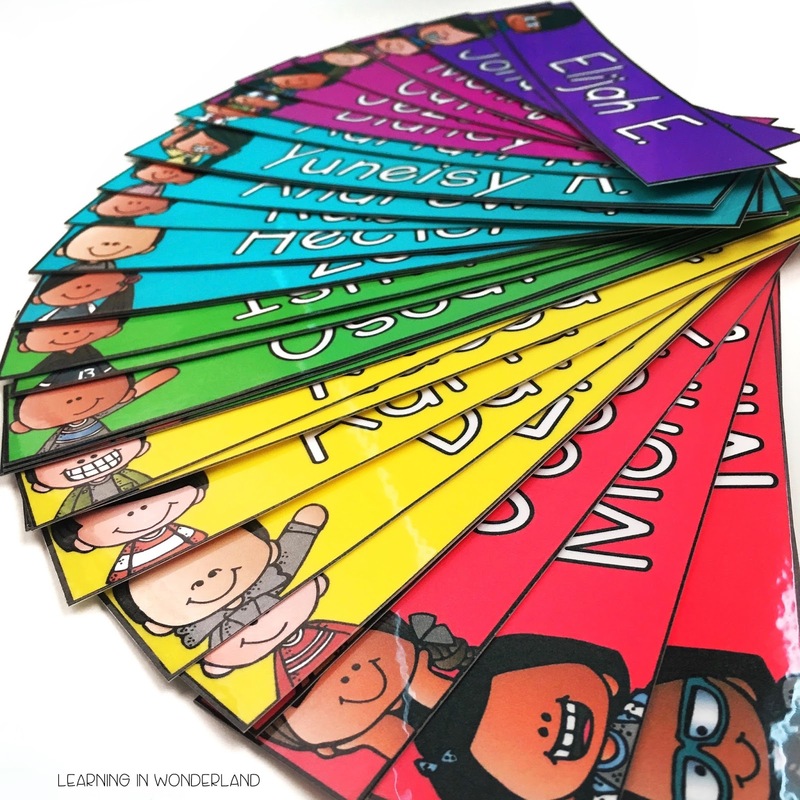 The next resource is something we use all the time! Long ago I learned that packaging tape was one of the best ways to attach name tags to desks. Well, I was using huge name tags and they used up so much tape! 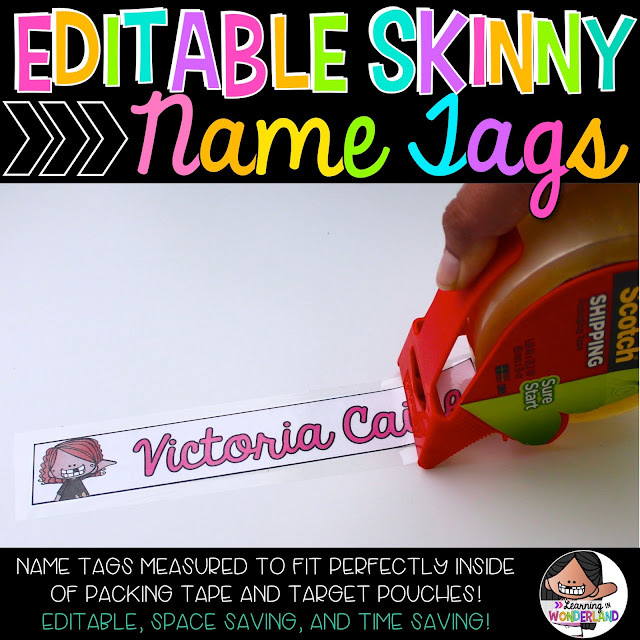 A couple of years ago I thought about how amazing it would be if I could attach name tags with one piece of tape. That is the day this idea was born! These name tags fit perfectly inside the width of packaging tape. Just place the name tag on the desk and run a piece of tape over it. Voila! When I print these, I print a duplicate set so that I can make bookmarks. My kids ADORE them! Are you a Target Dollar Spot fan? 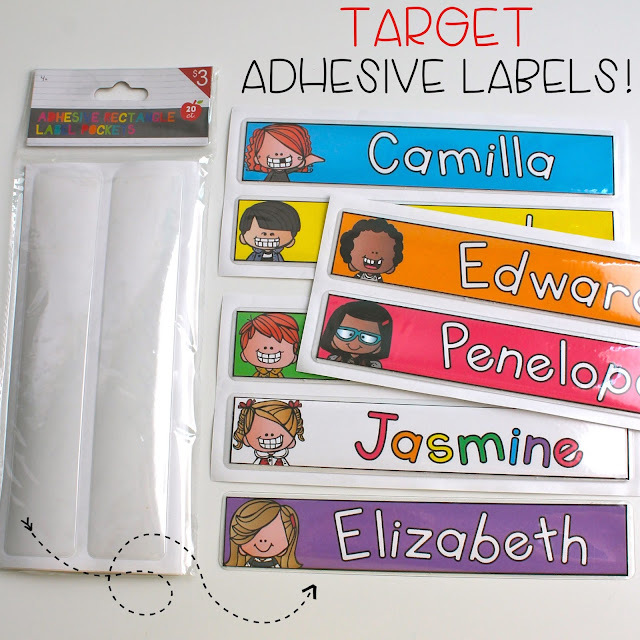 Well, a year after I made these, Target created these thin adhesive labels and guess what? My name tags fit in there! 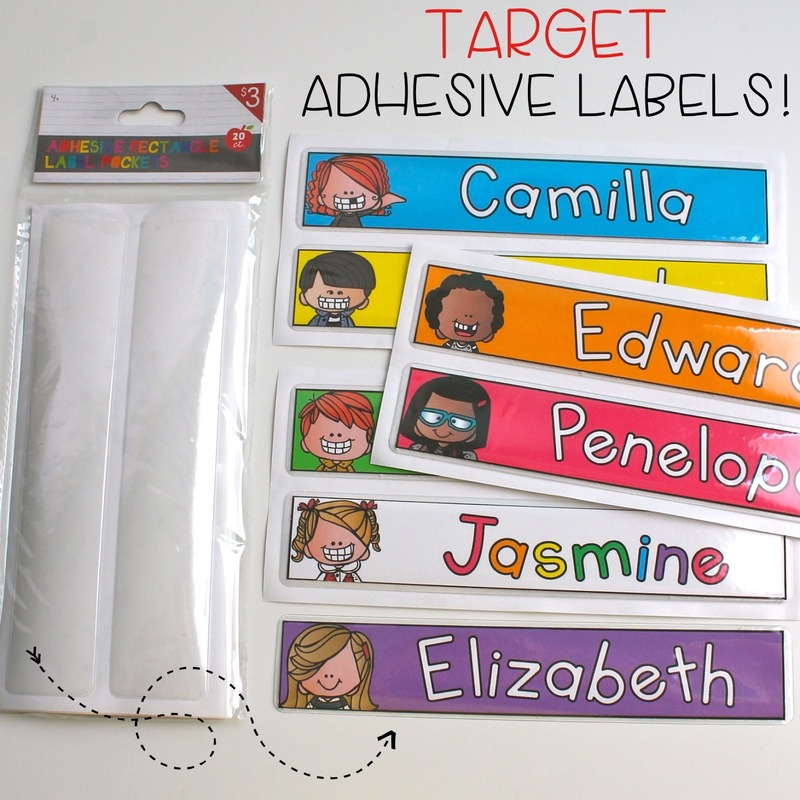 #targetforthewin I'm now using these on my student desks but when I run out, I'll be using my trusty old packaging tape!